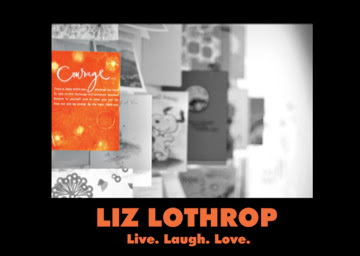 Liz Lothrop Update: Cut and paste the address below! Just a note to wish you well and also that you preform well on your results today. I know that you will. "God of love, ever caring, ever strong, stand by us in our time of need. Watch over your child Lizzy who is sick. Look after her in every danger,and grant her your healing and peace." I had a dream about you last night. It wasn't really a dream because it really took place. You were about 3 or 4 years old and your family and I went to the Naples beach in Florida. We had such a great time! You were so excited and happy. It reminded me of all the great moments in time that you have touched my life as you continue to do to this day. I'm praying for good results. I would love to be able to grant you the wish of going home for a few days but only God has that answer. If you need me, I'm only a phone call away. Good luck today Liz. Let's get some good news! We are all praying for great results today - I was happy to see your picture on horseback! Your smile shows me you are braver than your Mom. Ask her about the time she let my horse almost take her into the kitchen!! this is a sweet pic. it was great to see you on saturday. you looked great. smiling, laughing, and arguing with that one xavier fan i don't know :} lol. it is great to know that you will be going home for thanksgiving. hope you have an amazing turkey day!!!!! i also hoped you liked the blanket ljs signed. everyone loves and supports you. i keep praying. stay stong and keep fighting!